We know most of the population spend 90% of their time indoors with artificial lighting and studies have shown this can increase our chances of dangerous side effects such as depression, SAD, anxiety, diabetes, as well as reducing the quality of sleep and contributing to obesity to just name a few. 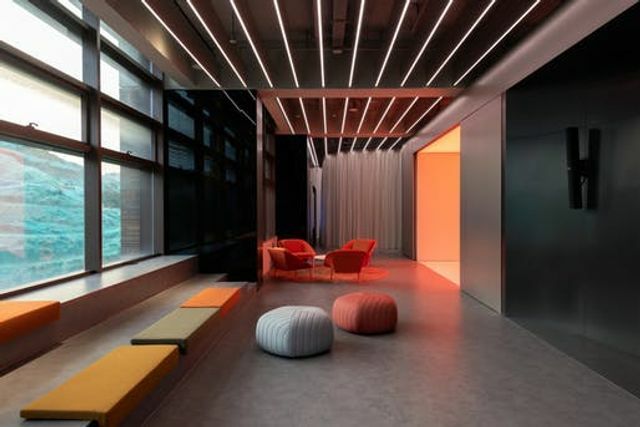 This article dives even further and breaks down the impact the working environment has on its occupants while implementing the use of Colour theory and its application to interiors. The office has now become an area where the architect and designer can combine spatial design with an interactive experience. The use of the Colour theory makes sense when a 1/3 of our life will be spent working from an office unless you're classified as a "working remotely" user. The space serves as a visual reminder for forward thinkers. However, some can and will argue that the office is and should remain a place where people go to work not live. The question is why risk not adapting? The overwhelming benefits outweigh the negatives, translating into tangible health benefits and reduced costs. A win-win for all! Architects and designers are designing offices that not only look better but interact with the senses to evoke happier and more productive staff.